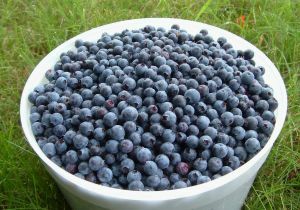 I am a huge fan of blueberries! When I was pregnant I would eat them almost every day throughout the entire summer. Little did I know that they have one of the highest levels of pesticides! Rivaled only by celery, peaches, strawberries, and apples. Oh well, I guess I'll be buying my sweet corn non-organic now and blueberries organic. Oh wait, no, I don't want to be eating GMO corn. Sheesh, looks like everything will have to be organic. Does money grow on trees? I wish. Check out the updated EWG Shopper's Guide to Pesticides!